“Cosmic Wimpout!” That was the first thought that came to mind when I heard Donald Trump announce that he was pulling the United States out of the Paris Agreement on climate change. Huh? Where did that phrase come from? Then I remembered the rolls of brightly colored “Cosmic Wimpout” stickers that were handed out to us by someone on my high school track team, way back in the late 1970s. 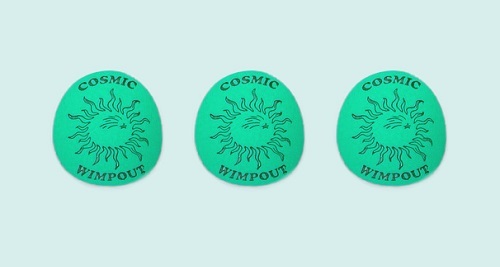 Even though we had no idea what the flaming sun surrounded by the words “cosmic wimpout” represented, the meaning was obvious and we had a great time sticking them everywhere. This was before Google searches and the Internet, and today it took me only a few seconds to discover that Cosmic Wimpout is a strategic dice game. Funny, that is how James Hansen described climate change, arguing that we are loading the dice and creating a systemic shift in temperature anomalies. Cosmic Wimpout is played with five cubes. If a player rolls some of them and no points at all are scored, the player has “wimped out.” If the player rolls all five cubes and scores no points, it is called a “train wreck.” Trump’s June 1st announcement and the way he defended it scored no points with anyone who knows or cares about climate change. It will go down in history as both a cosmic wimpout and a train wreck – unless we change the game. Sure, investments in new types of energy, new transportation systems, new approaches to agriculture, new ways of behaving and so on can be scary–especially if they require one to be open to new way of thinking, new ways of relating the environment, and new ways of engaging with others. Transformations usually involve the loss of the familiar, and regardless of whether it is good or bad, loss can be unsettling. This is particularly true when power and interests are at stake. Change can be frightening, but research on climate change and its impacts shows that NOT changing is even more frightening. The losses and damages from climate change and sea level rise will be enormous, and we have no idea how to adapt to the changes that are projected under business-as-usual scenarios. As the country with the second highest total greenhouse gas emissions in the world, the United States has a golden opportunity to become a world leader in climate change solutions. California gets this, and so do many other states, cities, towns, businesses, organizations and individuals in the United States. I have never played Cosmic Wimpout, but according to the instructions there are situations in the game when exceptional rules prevail or when new rules can be made. In some situations, the “You May Not Want To But You Must” (“YMNWTBYM”) rule forces a player to reroll the dice. This rule was lost on Trump, but it’s a good one to remember. The Guiding Light rule that says any new rule can be added at any time if all players agree, and that this new rule goes into effect the next time the situation occurs. Since we are already playing with “Loaded Climate Dice” and climate change is no Trump casino game, the announcement has already created a perfect situation for new rules and even a new game. The first Guiding Light rule that I would propose is that “Every person gets to play and to contribute to climate solutions.” Everyone in the world would have a stake in limiting climate change, and everyone would have agency and a sphere of influence where they could make a difference and contribute to a more equitable and sustainable world. My second rule would be called “The Overachieve Rule.” The Paris Agreement is an agreement responding to the scale and urgency of the problem; it sets the scene, but much more actually needs to be done to achieve the 1.5C target and reduce risk and vulnerability to climate change impacts. ⇐ Reverse Global Warming? Game On!